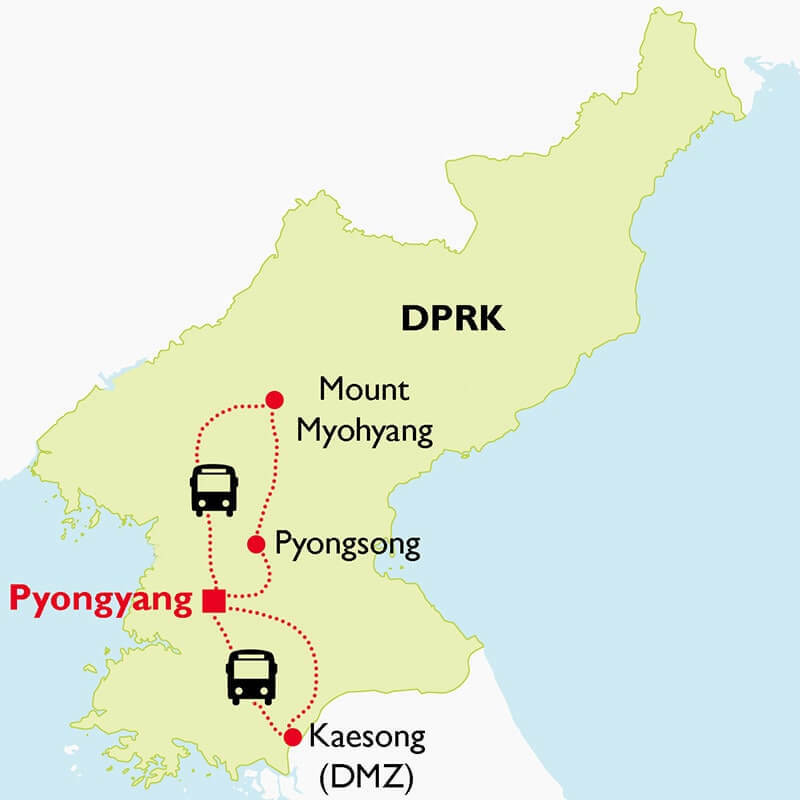 This 5-night classic tour to North Korea is designed to introduce you all the major highlights of the country in one extensive action packed itinerary you’ll never forget. 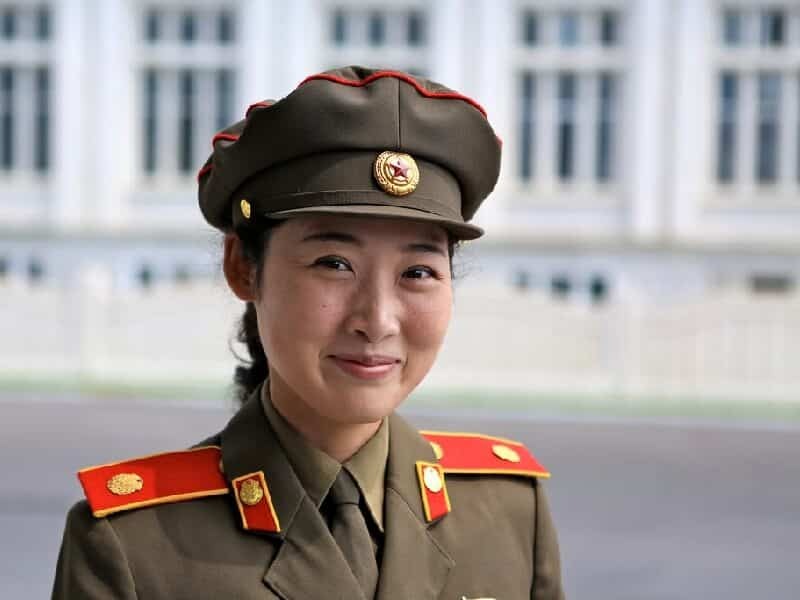 Besides the major political highlights of DPRK in Pyongyang such as the Tower of Juche Idea, Mansudae Grand Monument, etc..., you’ll experience aspects of North Korean culture through a visit to the Grand People’s Study House and a ride on the Pyongyang metro. Venture into rural areas, you will see life go by with a visit to Mt. Myohyang. Go hiking the fragrant mountains, complete with a picnic lunch. 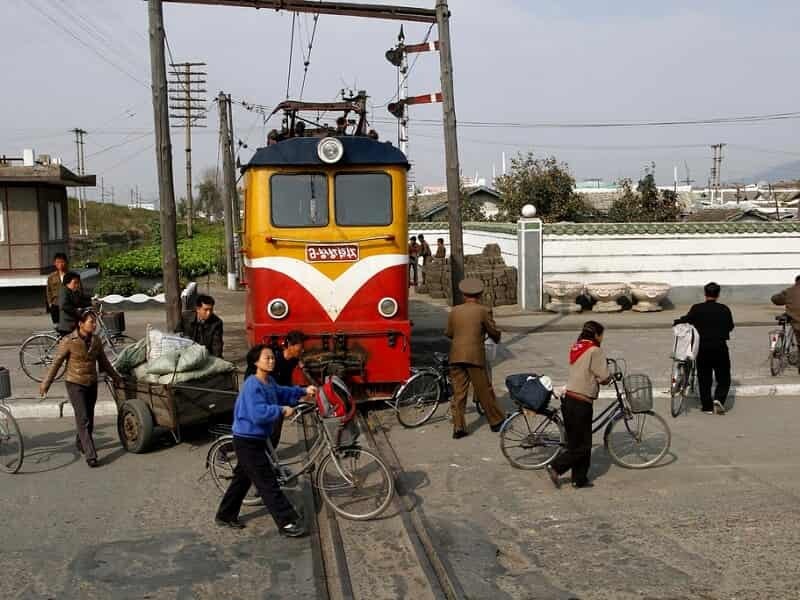 You’ll even get a chance to visit Pyongsong, a satellite city of Pyongyang which has been recently open in 2013. Of course, no travel to North Korea would be complete without a visit to the DMZ dividing North and South Korea! This is a varied tour you can’t miss! Stroll in relaxed manner through the city to the Foreign Languages Bookshop which provides the best chance in the DPRK to pick up postcards, publications, posters and other trinkets that make perfect souvenirs. 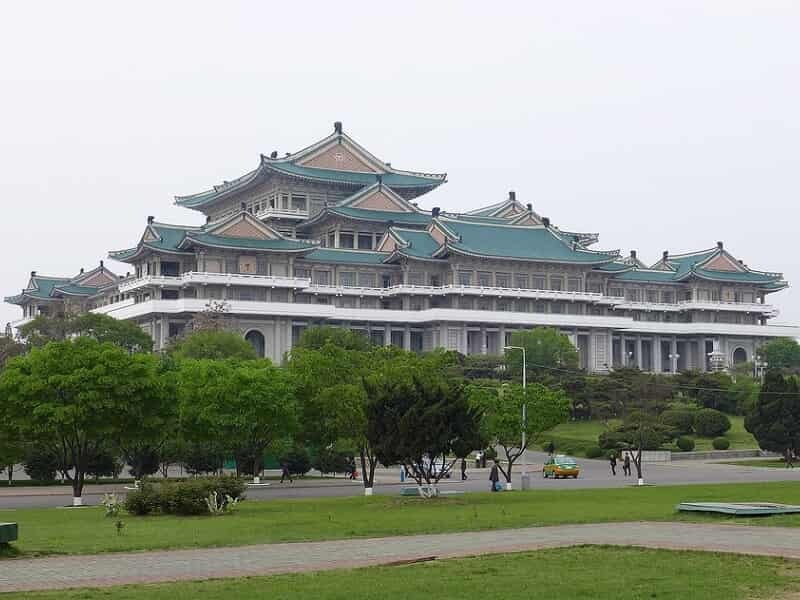 Then visit the Grand People’s Study House, an extensive library used to further education and the heart of study on the national Juche ideology. The viewing deck here provides a great photo opportunity of the Kim Il Sung Square and Taedong River! We’ll then learn about the DPRK’s defining ideology, the Juche philosophy, on a visit to the iconic Tower of Juche Idea. For those who wish to take the lift 150-meters to the top, you’ll enjoy the best views in Pyongyang city. (Optional; elevator ticket is 5 EUR). Take a one hour circus show including clowns, trapeze artists, jugglers, and much more at the incredible Pyongyang Circus. (Optional; 20 EUR entry fee paid at the door). 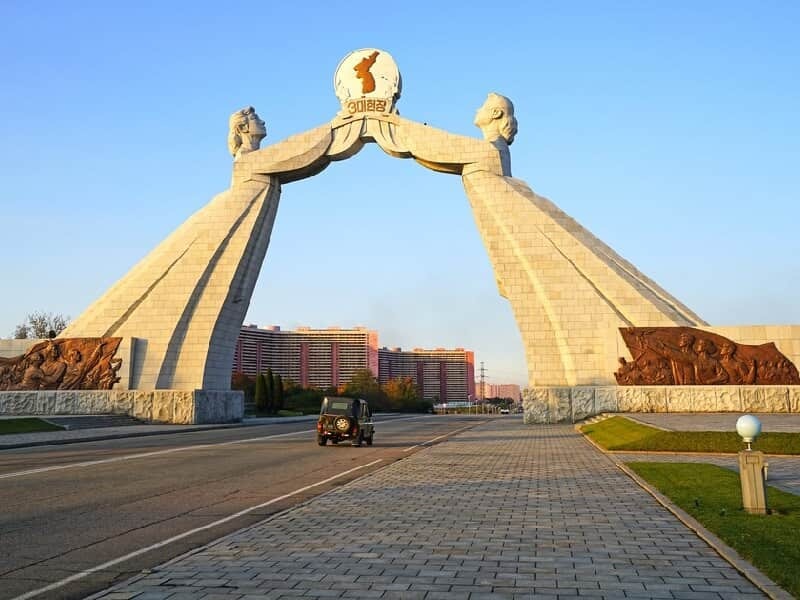 Afterwards, pay a visit to either Golden Lane Bowling or Meari Shooting Range and then follow up with a casual evening walk on the new Ryomyong Street, home to Pyongyang’s most extravagant apartment complexes and opened in just April 2017 to international media attention. For dinner, we will have Korean Bibimbap and get the chance to taste local Korean draft beers at the Taedonggang Microbrewery. 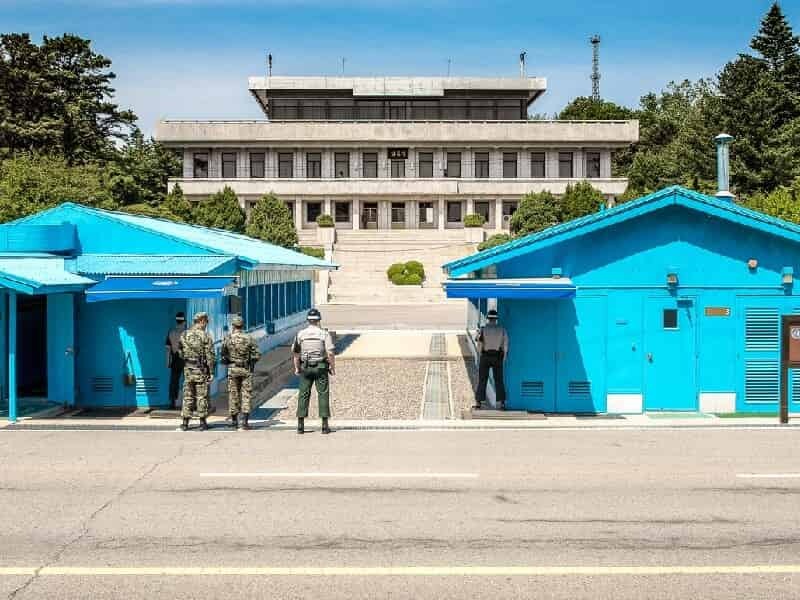 In the morning, enjoy a 2.5 hour drive south along the 'Reunification Highway' to the historic city of Kaesong then will head for the DMZ where we’ll hear from our guides a perspective of the Korean War that often gets discredited or unheard. 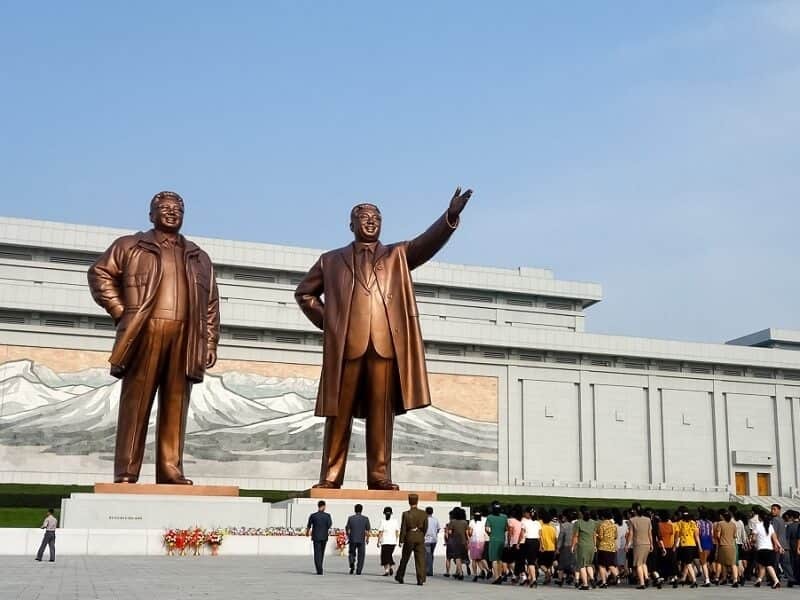 Your North Korea tour package is not complete without a visit to this historic place. On our return to Pyongyang, we will visit the newly renovated Victorious Fatherland Liberation War Museum and the USS Pueblo in its new spot (the “American Spy Ship” captured in 1968). 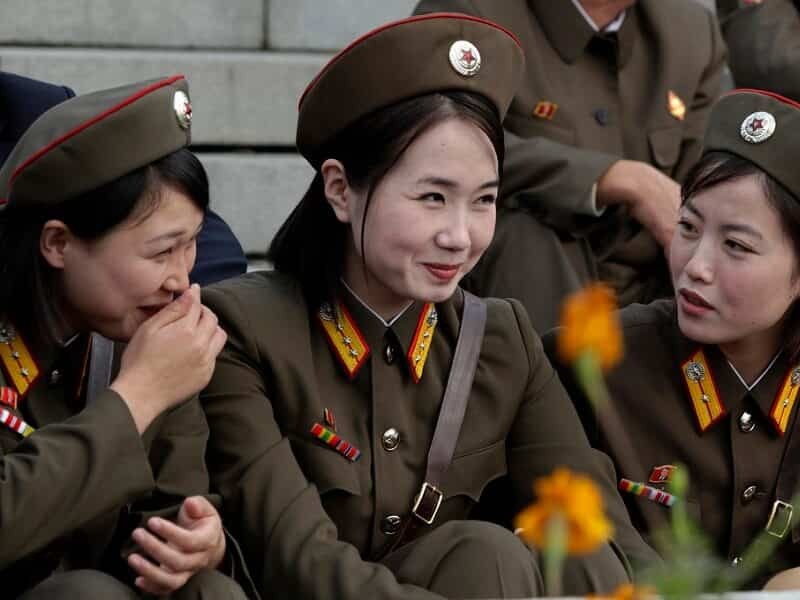 In any trip to North Korea, the majority of time will be in Pyongyang. However, today we pay a visit to the satellite cities of the capital. Begin the day with the visit to the Mansudae Art Studio, the most prestigious fine arts studio and gallery in North Korea. This studio is the only one given permission to depict the Great Leaders in monuments, murals and mosaics. We recommend getting the ink block paintings here. Depart to the mining city of Pyongsong. This satellite city of Pyongyang was opened for the foreign visitors in 2013. 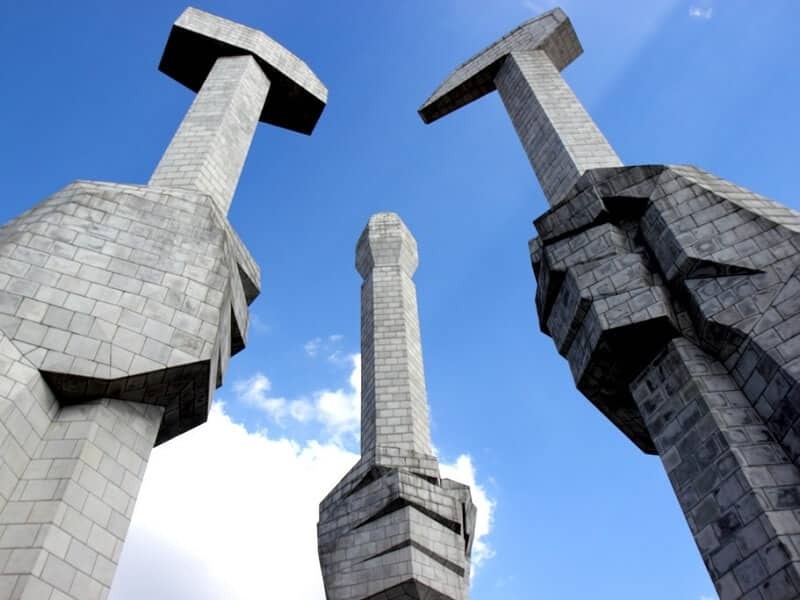 Visit the Pyongsong Central Square where houses a giant bronze statue of a young Kim Il Sung and a history museum with the party symbol in between the slogan "One United People's Heart", followed by the Paeksongri Revolutionary Site where the Kim Il Sung University was moved to in the Korean War. 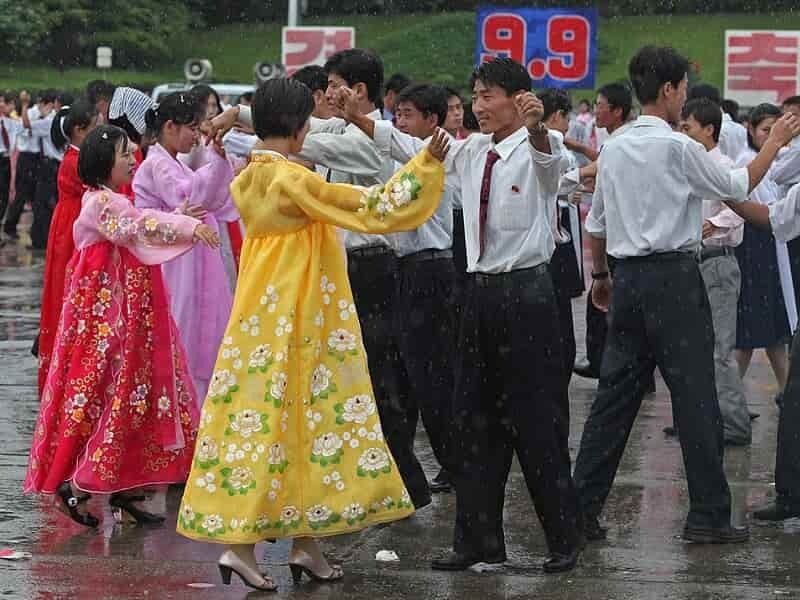 After lunch, stop at the Pyongsong Number 1 High School, Kim Jong Suk high school. 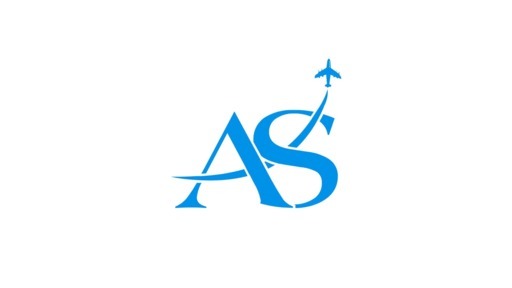 The school's headmaster will show us around the school where we will be able to join in a lesson and interact in English with the students as there tend to be extra lessons on Saturdays. If the time permits, we will visit the Paeksong Food Factory or Taedonggang Textile Factory, a rare chance to see a DPRK factory. Continue to the picturesque Mt. Myohyang (Myohyangsan). This will be a 1.5 hour drive filled with beautiful scenery, providing a great look at what life is like outside of the capital. Check-in hotel then spend time for refreshment. Wake up in Mount Myohyang is a highlight of your travel to North Korea. After breakfast, we will visit the International Friendship Exhibition, a massive complex containing the gifts given to the Great Leaders by foreign dignitaries over the years, displayed proudly in over 150 rooms. There’s even a basketball signed by Michael Jordan presented by former U.S. Secretary of State Madeleine Albright. Take the elevator to the top floor and enjoy the mountain view and fresh air while sipping organic mountain root tea. We will then visit the ancient Buddhist Pohyon Temple, founded under the Koryo Dynasty and remains populated by practicing Korean Buddhist monks. After lunch, we will hike the Manphok Valley trail. This area is popular with picnicking locals and filled with dense forest, waterfalls and temples with great views (bring comfortable shoes; all hiking is optional and at your own pace). There will be plenty of opportunities for photos here! Return to the capital and visit Kwangbok Supermarket, a five-story department complex filled with local and imported product and the only place in Pyongyang where foreigners are able to exchange and use the local North Korean Won. If your energy allows, visit Science and Technology Centre, a newly built atom-shaped educational facility, library, computer lab, and exhibition of the latest developments in science and technology for students of all ages, educators, and researchers alike.